Between 950 and 1350 more and more of the peoples of the western end of the continent of Eurasia made Christianity their official faith. Simultaneously, immersed in the dominant Islam, the churches on the north shore of Africa and in Western Asia east and south of Asia Minor slowly dwindled. Europe and Christendom were becoming synonymous. For a time in these four centuries it seemed that Christianity, balked in the Moslem world, might not be so largely confined to an area which was on the periphery of civilization, but might win in Central and Eastern Asia. Converts were made in Central Asia and China and strong churches existed in India and on even one island, Socotra, in the Arabian Sea. At the outset of their conquests the hope was cherished by some that the Mongols themselves would be converted. If they, the rulers of the mightiest and most extensive empire that mankind had yet known, were to become Christians, all of the civilized and much of the uncivilized world might follow. Here was a major opportunity and challenge. The opportunity was not seized. Probably it could not have been. Yet during these centuries Christian communities, most of them small, multiplied in the regions in Central and East Asia which were subject to the Moslems. This was chiefly through the Nestorians but it was also in part through Catholics from Western Europe. We have seen that Nestorians had won some of the Turkish peoples of Central Asia and were represented in the caravan cities of that region, radiating points of cultural influence. We have also noted that, carried to China in the seventh century by Nestorians, by the latter part of the tenth century Christianity had died out in that realm. 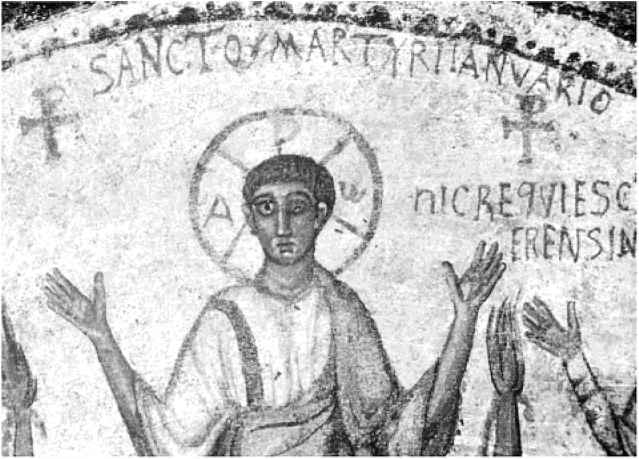 Early in the eleventh century Nestorian Christianity began to make fresh gains. Not far from the year 1000 the prince of the Keraits, a Turkish folk in Central Asia, is said to have asked for baptism. In the thirteenth century that people were professing Christians. In that same century the Onguts, a Tartar folk dwelling to the north of the great northern bend of the Yellow River, also called themselves Christians, and among the Uighurs, a people long prominent in the area through which ran the trade routes from China to the West, were some of that faith. When or how they became Christians we do not know. In the thirteenth and fourteenth centuries European travellers found strong Christian communities in South India. The Mongol advance seemed at first to favour Christianity, Among the early conquests of Jenghiz Khan was that of the Keraits and in what seems to have been an attempt to strengthen his power he married one of his sons to a princess from the Kerait ruling family. She was a Christian and the mother of two of the most prominent of Jenghiz Khan's grandsons, Khubilai Khan and Hulagu, Hulagu's favourite wife was a Christian. Mangu, Grand Khan of the Mongols from 1251 to 1259, is said to have been baptized by an Armenian bishop. The inherited faith of the Mongols was a form of shamanism, a kind of "primitive" religion which yields easily to a "higher" religion. There was substantial ground for the hope that the Mongols might become Christians. Under the Mongols Christianity once more appeared in China. At the Mongol capital, Cambaluc, the later Peking, the Nestorians had an archbishop. A native of North China, but probably not a Chinese, journeyed westward with an older companion and eventually became head of the entire Nestorian Church. Nestorian communities, presumably all foreign, were found in several Chinese cities. A Nestorian was governor of one of these cities and built several monasteries. Alans, Christians from the Caucasus, constituted a contingent of the Mongol garrison in Cambaluc. The Mongol Empire opened the doors to wide-flung missions from the Catholics of Western Europe. In general the Mongols were fairly tolerant religiously and when once their rule had been established — although that was often by wholesale slaughter — they brought in a degree of peace and order. They accorded security to the east-west land trade routes across Asia. Many European merchants, mostly from the flourishing Italian cities, journeyed by them as far as China — which they knew as Cathay. They also went by sea to India and to the great marts of the China coast. When the Mongol storm broke across Eurasia, two of the chief missionary orders of the Catholic Church, the Franciscans and Dominicans, were in the first flush of their enthusiastic youth. They took advantage of the new day to plant missions which were scattered from Russia to the China Sea. In the Mongol domains in Russia the rulers, as we have seen, were religiously tolerant. The Pope assigned the region to the Franciscans and here, about 1300, the Brothers Minor had seventeen stations, including a monastery in the capital. Converts were made, among them members of the reigning family. The friars accompanied the nomads on their wanderings, preaching and administering the sacraments. Several bishoprics and two archbishoprics were created. In Persia under the Mongols both Franciscans and Dominicans, principally the latter, were present. There were a Latin archbishopric and several bishoprics. These Western Catholics devoted their chief efforts to bringing to allegiance to Rome members of the other churches in the region — Nestorians, Jacobites, Armenians, Georgians, and Greek Orthodox. In Central Asia Franciscans sought to establish missions and we hear of martyrdoms of Brothers Minor but also of baptisms and of at least one church building. Both Franciscans and Dominicans were in India. Some suffered martyrdom, but some won converts and there was at least one Latin bishopric. The most spectacular as well as the most remote of the missions of Western Christians which arose in the wake of the Mongol conquests was in China, China was the most populous and the richest of all the lands under Mongol rule. Its largest cities were said to surpass any in the rest of the world. To them came many merchants from Western Europe, the most famous, because of a narrative left by one of them, the Polos. In 1269 two Polos, brothers, arrived from Cathay at Acre, on the east shore of the Mediterranean, with letters from Khubilai Khan, then ruling all the Mongol domains from Cambaluc, asking for teachers of the science and religion of Europe. After a delay, two Dominicans started on the return trip with the Polos, who now had with them young Marco, the son of one of the latter, who was eventually to write the book at which we have hinted. Before they had gone far the friars took alarm at rumoured dangers and turned back, but the Polos kept on. In 1278 a report that Khubilai Khan had been baptized stimulated the Pope to start a group of five Franciscans towards China, but what happened to them we are not told. So far as our records enable us to know, the first Catholic missionary to reach China was an Italian Franciscan, John of Montecorvino. He arrived in Cambaluc in 1294, bearing a letter from the Pope to Khubilai Khan. The latter had recently died, but his successor received John courteously. John encountered bitter opposition from the Nestorians, who were powerful at court, but he remained and by 1305 had built a church, had won about 6,000 converts, and had translated the New Testament and Psalter into what he described as "the language and character which is in most general use among the Tartars." By 1306 he had completed a second church at Cambaluc. Letters from John telling of these successes reached the Papal court and caused something of a sensation. To reinforce him the Pope appointed seven Franciscans and created them bishops with authority to consecrate John as archbishop. Of the seven, one either did not leave Europe or soon turned back and three died on the way, so long was the journey and so formidable the hardships. From time to time other Brothers Minor came and missions were established in several cities. So far as we know, the last medieval missionaries to reach China were a party led by a Papal legate which arrived at Cambaluc in 1342 and reported to the Papal court on its return trip in 1353.